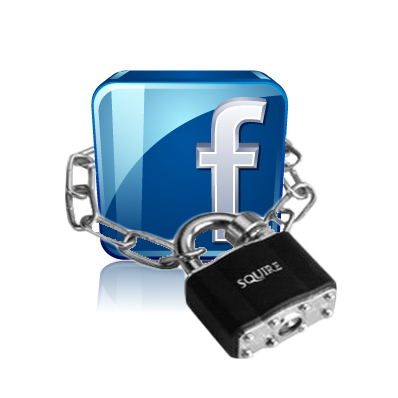 If you are involved in a New Hampshire divorce or child custody matter, you may want to protect your Facebook and other social networking sites. A 2010 survey by the American Academy of Matrimonial Lawyers (AAML) found that four out of five lawyers reported an increasing number of divorce cases citing evidence taken from social networking sites, with Facebook being the leader. According to the AAML, an overwhelming 81% of the nation’s top divorce attorneys say they have seen an increase in the number of cases using social networking evidence over the past five years. Is your information really private? Although you may believe access to your social networking posts is limited to your friends, those friends may not have the same level of protection, leaving the private aspects of your life open to scrutiny. Where you go, what you do and who you are with may all be used against you by your estranged spouse to gain an advantage in your NH Divorce. Photographs and posts from social networking sites, including those posted by friends on their own pages, may become evidence in your New Hampshire divorce or child custody proceedings. Marlene Eskind Moses, president of the AAML, notes that the openness and sharing of social networking sites left their users’ public and private lives more exposed. The World Wide Web offers many wonderful opportunities but may also present pit-falls in your future legal needs. When facing a divorce or child custody matter in New Hampshire think before you post; and remember that your posts may potentially be used to portray you in a manner that does not accurately reflect your true lifestyle or parenting abilities. At Tenn And Tenn, P.A., our New Hampshire family law lawyers work with our clients to achieve results. We have the resources, experience, and dedication to advance our clients position in a forthright and prepared manner. We provide immediate assistance. Contact the NH Divorce Lawyers today at (603) 624-3700 or dial our toll free Help Line at 1.888.511.1010.